We are very happy to tell you that all students from Meritxell school have started the new project "LA TRIBU M'ALIMENTA". They love participating in the three activities that we have offered. 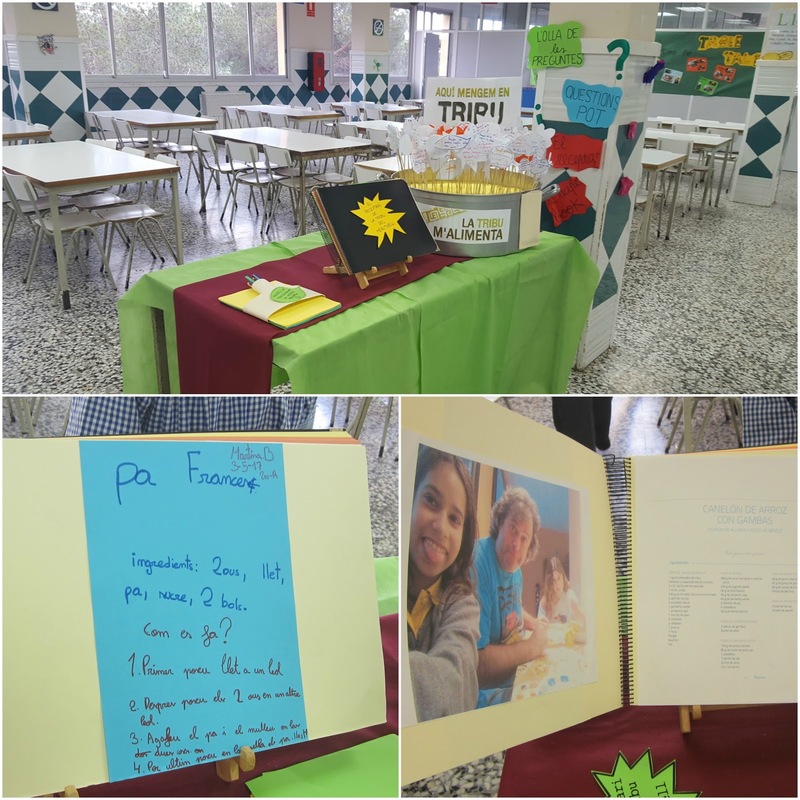 The first activity that we started was the "àlbum de la tribu". 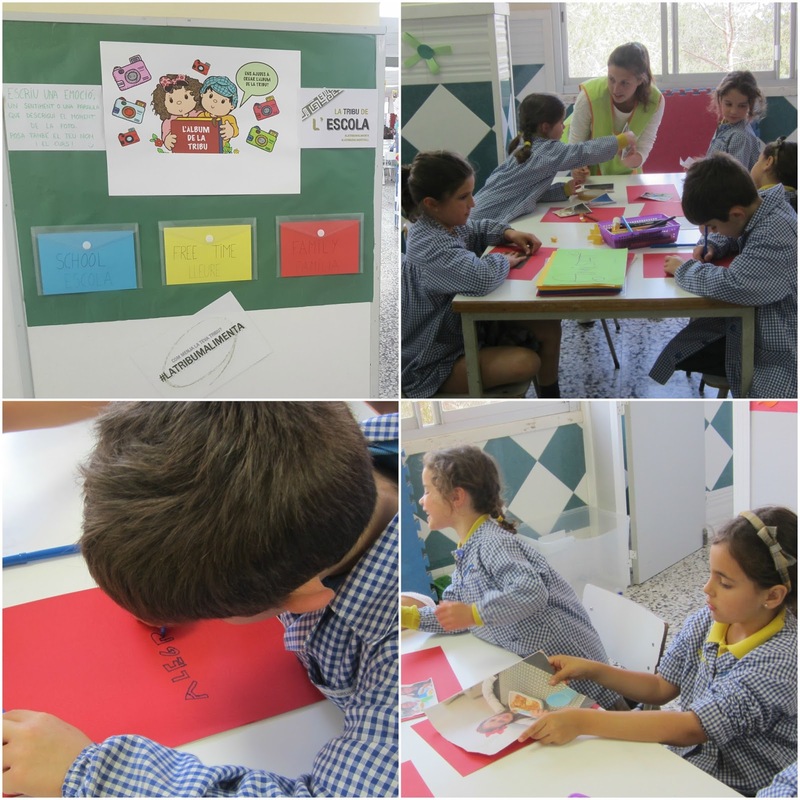 In this activity, the students bring or send their photos while they are eating at school, with their families or in their free time. These photos will be hung around the school canteen with a feeling or emotion attached related to each picture. 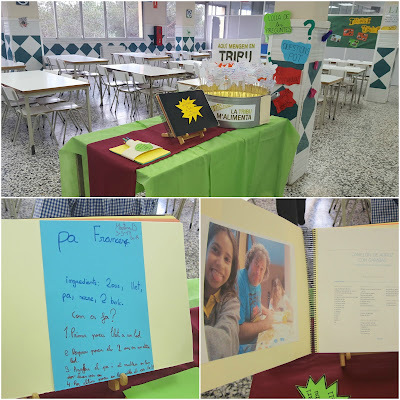 Another activity that we have developed is "el receptari de la tribu". Each student brings a culinary trick or a recipe with all the dishes and desserts that they know or can cook. 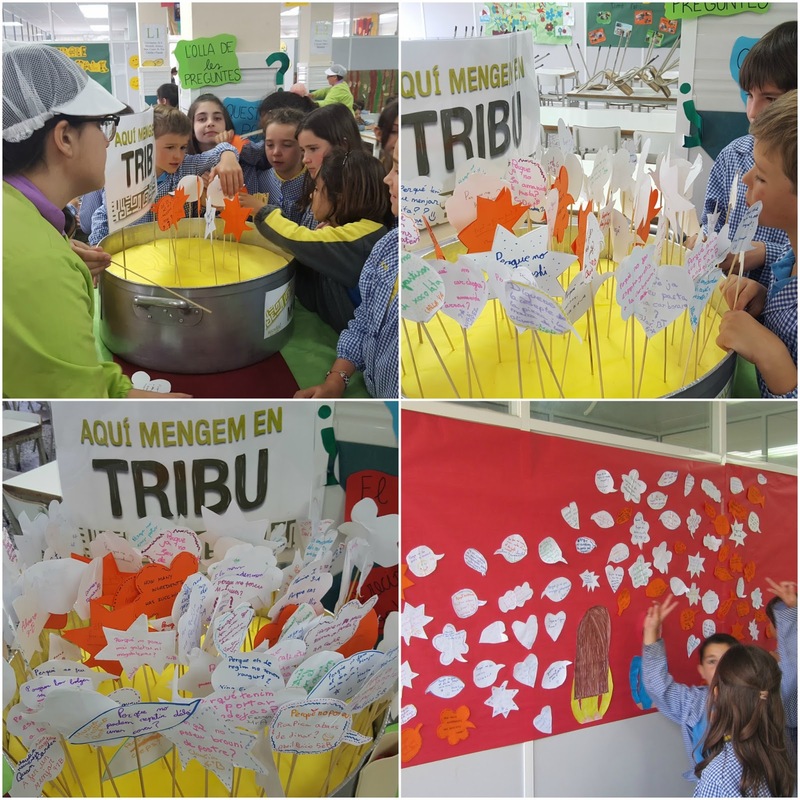 The last activity is "l'olla de preguntes". Each student can write a question or a doubt about the Espai Migdia. A reporter team created by the students is going to ask different people working in the school to solve the classmates' questions.